Spire SPg7 Credit Card Rolls (50 Rolls).Free Ireland Delivery! Bulk Discounts, YES! Discounts start on 2nd Box. Show your customers how green and health conscious you are with your own health and the health of your customers, without compromising on quality. 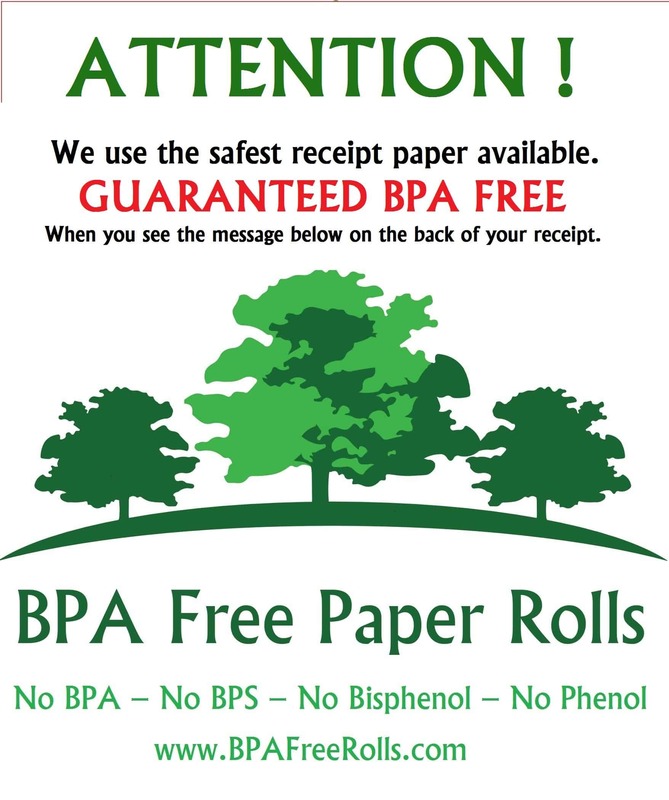 Printed lightly on the back of the rolls to let buyers know that you are considering the health of your customers, staff and also the environment. 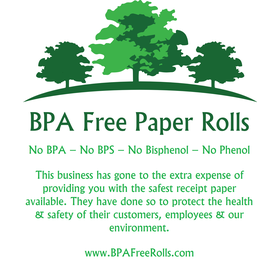 BPA Free Rolls.com Credit Card Rolls are environmentally friendly and are the Safest Credit Card Rolls Available in the Market. 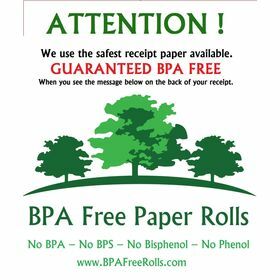 Other companies selling BPA Free rolls will not have BPA on them but will be replaced by either BPC / BPS or another Bisphenol compound which we believe is defeating the purpose of the exercise. The paper that BPA Free Paper Rolls uses to make our Spire SPg7 , Credit Card Rolls, comes from sustainable forests throughout Europe and for every tree cut down six new trees are planted insuring a continuous supply for the future. 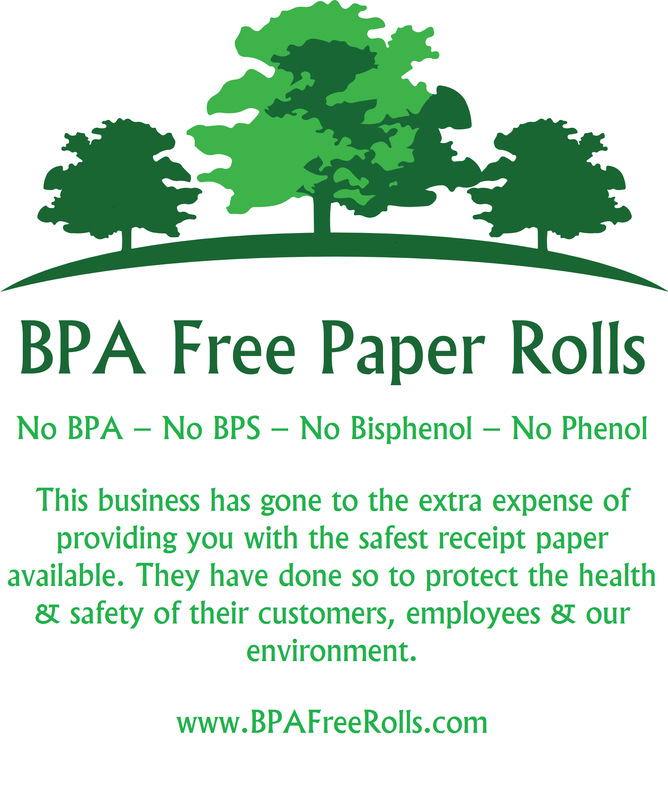 Not only environmentally friendly but high quality paper that is BPA Free & BPC Free but also BPS Free in fact it is totally Bisphenol Free (NO Bisphenol / NO Phenol) Spire SPg7 Credit Card Rolls. All our paper rolls are made from Long Life Paper, also suitable for the financial industry. Print Guaranteed for 10 Years when stored correctly. And we will be more than happy to help you find what you require. This page contains BPA Free credit card rolls suitable for use in the Spire SPg7 credit card terminal, and a picture of the Spire SPg7 in order to help you identify your machine. Products listed are not manufactured or endorsed by Spire and the terms SPg7 and Spire SPg7 are used for identification purposes.